In the name of Allah our creator , god of Abraham , Moses , Jacob ,Jesus and all prophets . A second former PVV politician has converted to Islam, this time after having a change of heart while writing what was supposed to be a critical book. 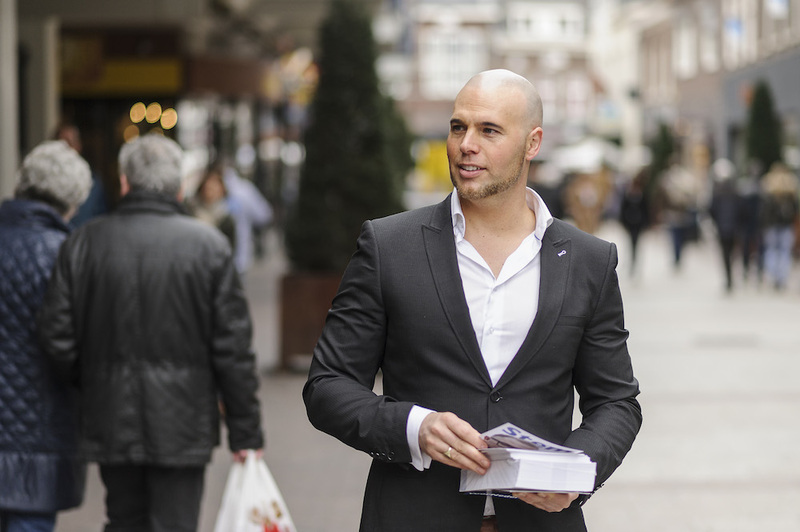 Joram van Klaveren, who left the PVV after leader Geert Wilders led an anti-Muslim chant in 2014 and formed his own party, told the NRC that his view on Islam changed while writing and that he has now formally converted. ‘If you believe in one god and that Mohammed was a prophet, alongside Jesus and Moses, then you are a Muslim,’ Van Klaveren, who has orthodox Protestant roots, told the paper. During his seven years as an MP for the anti-Muslim party, Van Klaveren was an outspoken critic of Islam, commissioning texts with phrases such as ‘Islam is a lie’ and ‘the Koran is poison’. Asked how he deals with the anti-Muslim sentiment he helped create, Van Klaveren said he is constantly being asked if he hates gay people, has plans to go to Syria or can stroke dogs. ‘I have contributed to creating and maintaining that bad image of Islam, but you cannot imagine how preconceptions work, until you have to deal with them yourself,’ he said. In 2013, a former councillor for the PVV in The Hague launched a political party founded on Islamic principles. Arnoud van Doorn converted to Islam after being thrown out of the PVV at the end of 2011 because of ‘financial irregularities’. why priests convert to Islam ??? Can I Convert in Secret? بالصور: سؤال بسيط يكشف الجهل الجماعى للمشرفين(twin)و( critic)و(سرجيوس) فضيحة جماعية! !